Teens can change the world – and we need your help! Teen leaders representing Jewish Cleveland are needed to motivate their peers and increase participation in the Jewish Federation of Cleveland’s annual Campaign for Jewish Needs (CFJN). The funds we raise each year allow us to CARE for one another, PREPARE for the future, SHARE our perspectives, and REPAIR our world. We believe teens have an influential voice that can creatively make these messages both meaningful and relevant for their friends and relatives. We’re asking teens to create a buzz within their youth groups, friends’ groups, camp communities, schools, sports teams (and more!) so that at least 500 Cleveland teens will become educated about the CFJN, feel connected to the Cleveland Jewish community, and choose to make a donation. 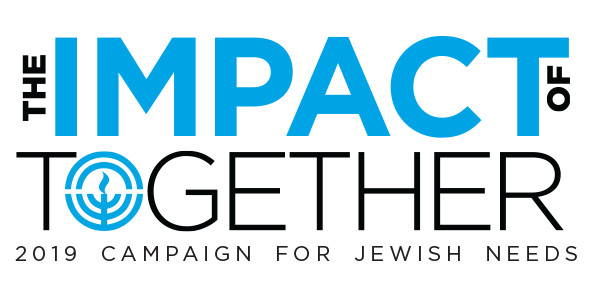 Use social media to educate and inspire your peers about the 2019 Campaign for Jewish Needs (CFJN). We have resources to make this easy and fun. Organize at least one teen-led “giving experience” between 10/14/18 and 12/9/18 – and share using social media. Participate in one hour-long training session (dates & locations TBD). Though the time commitment is relatively small, the impact is tremendous! Deadline to apply is October 14, 2018. Contact Kelly Rubanenko at krubanenko@jcfcleve.org or 216-593-2865 with questions or suggestions. For more information about the CFJN, visit www.campaignforjewishneeds.org.